The apex Court is set to take up the first ever challenge to the Government’s decision to prod gubernatorial authorities to either resign or to remove them at will. The petition is coming up before a three-Judge Bench. Notice has reportedly been issued to the Centre, by a Bench comprising of Chief Justice R.M. Lodha, Justice Kurian Joseph and Justice Rohinton Nariman. The Petition has been filed by Uttarakhand Governor Aziz Qureshi challenging the Narendra Modi-led NDA government’s push to make him quit the post. After the change of the Government at the Centre and the Modi Government taking charge, seven Governors have been pushed to quit while two were dismissed. Those who quit include B.V. Wanchoo of Goa, B L Joshi of UP, M K Narayanan of West Bengal and Shekhar Dutt of Chhattisgarh. The President had withdrawn pleasure and sacked Kamala Beniwal after her transfer from Gujarat to Mizoram. Qureshi questions the authority with which he was called up by the Union Home Secretary and asked to put in his papers. He questions the authority of a Secretary-level officer to undermine a Constitutional office of a Governor. The Court also issued notice to Home Secretary Anil Goswami. The Centre and Goswami has been granted six weeks time to the file their response and referred the case to five-judge Constitution bench observing that interpretation of Article 156(Term of office of Governor) is involved. Representing the petitioners, a battery of lawyers, comprising two former Law Ministers of UPA regime--Kapil Sibal and Salman Khurshid-- and two former Additional Solicitor Generals relied on Articles 155 and 156(1) of the Constitution of India, according to which the Governor holds office during the pleasure of the President. He would hold office for five years if he continued to enjoy the confidence of the President. Hence, it is contended that it could only be the President who could ask him to quit. "Issue an order or direction declaring that the impugned action of threatening the Governor to resign or face removal is constitutionally perverse, legally untenable, arbitrary, capricious and malicious and reprimand Home Secretary(and/or the persons responsible for such action) for his attempt to give such diktat to his constitutionally superior functionary," the petition said. It reportedly cites the landmark 2010 decision by the Supreme Court in BP Singhal’s case where stringent restrains were imposed on the executive power of Centre to remove Governors at whims. 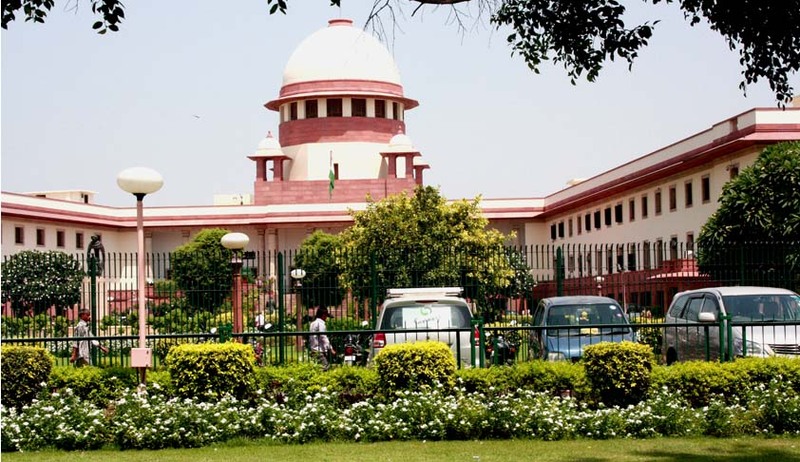 The Apex Court had decided a petition filed by BJP MP B P Singhal challenging the UPA government's 2004 decision to remove Vishnu Kant Shastri (UP), Babu Parmanand (Haryana), Kailashpati Mishra (Gujarat) and Kidarnath Sahni (Goa). The Bench had ruled that Governors were not employees of the Union government to warrant removal on the ground of loss of "confidence" in them and stated, "While the President need not disclose or inform the cause for his removal to the governor, it is imperative that a cause must exist. If we do not proceed on that premise, it would mean that the President, on the advice of the council of ministers, may make any order which may be manifestly arbitrary or whimsical or mala fide. Therefore, while no cause or reason be disclosed or assigned for removal by exercise of such prerogative power, some valid cause should exist for the removal. Therefore, while we do not accept the contention that an order under Article 156 is not justiciable, we accept the contention that no reason need be assigned and no cause need be shown and no notice need be issued to the governor before removing a governor." The Court had observed that the burden of proof was on the aggrieved person to show that the removal was arbitrary and that there exists a presumption of existence of a compelling reason for such removal.